... you have a few of them. Our service starts from Myo Ma Jetty in Kawthaung. Your guide will pick you up at your hotel or Kawthaung Airport and transfer you to jetty to embark on board. A pick up from Ranong (Thailand, Saphan Pier) is also possible. After immigration clearance captain will start to drive heading to Taung La Bo Island where finally it is time to get in the water. 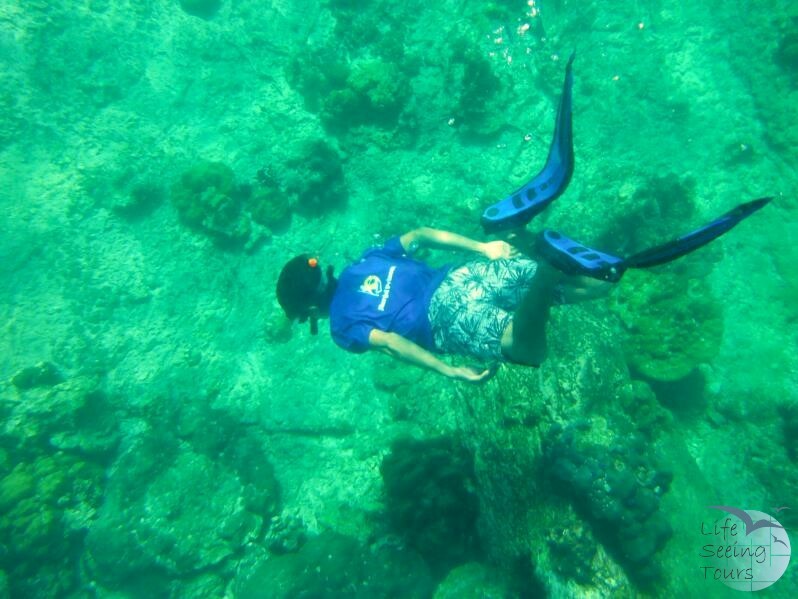 It is a good opportunity to snorkel or just relax on the beach. We will have sunset dinner while cruising to wards 115 Island. Enjoy your breakfast prepared by the chef on board. 115 Islands Group is crystal water and worth to snorkel. Big school of fish as well as hard and soft corals lay around this island. You’ll find here are the very definition of pristine very white and powder sand beaches. The sand is so fine that you can here. During lunch we cruise over to Nga Man Island where we have time to go once more snorkeling. Hard and soft coral are fully intact, various colorful fishes, morels and jelly fish can be spotted. After water action oures captain will continue to Kyun Pila (also called Great Swinton Island). Enjoy dinner and overnight on board nearby Kyun Pila. Don't miss out on a night swim in fluorescent waters. After breakfast onboard, we go for a land excursion to observe the daily life of the fishermen. Repairing boats, fixing nets, drying fish or making fish paste can be seen during our visit. Before lunch we are cruising towards N. Phipps Island where we have some more time for snorkeling or kayaking. In the afternoon we continue for Thay Yae Island. Enjoy dinner and overnight on board by Thay Yae Island. In the morning we go for snorkeling and then depart back to Kawthaung. Cheers for your exploration and complementary soft drinks before arriving back to Kawthaung. After disembarking from our boat your guide will take you to the airport or hotel in Kawthaung by car or Ranong Jetty (Thailand) by long tail boat. Please note: Program may change due to weather and tide conditions. Joint tour need a minimum of two participants.